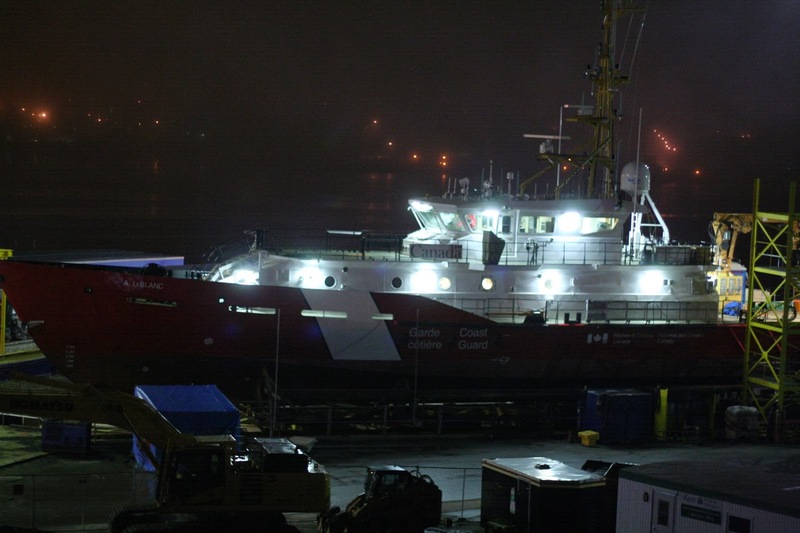 Home / News / Halifax Shipping News / CCGS A. Leblanc to launch overnight. 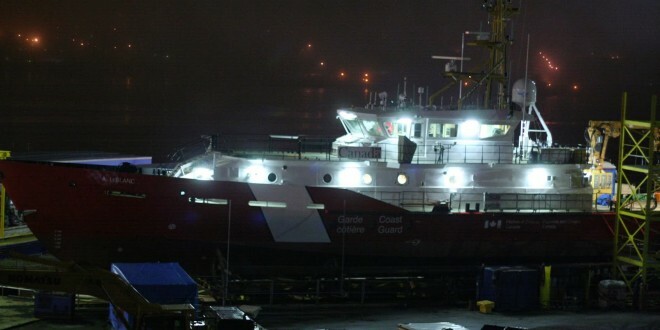 In what was perhaps a prophetic photo (Above) from the 17th, the CCGS A. Leblanc is scheduled to launch tonight, at 0200am on the 27th. I cannot recall a night launch previously, though its likely an attempt to foil media coverage – likely to be heightened due to the injury on the initial attempt.